You are here: Home / EU - Regulating Biking / Ask And You Shall Receive! Tenacious as we are, over the last few months we have been sending our views to the Dutch MEP, Wim van de Camp. Mr van de Camp is the Internal Market and Consumer Protection Committee (IMCO) Rapporteur. This committee is working on the regulation on the Approval and Market Surveillance of Two – or Three-Wheel Vehicles and Quadricycles, on behalf of the EU parliament. We asked Mr van de Camp to give his opinion on some of the claims that are being published in the UK motorcycle press regarding riders’ concerns on issues such as Anti-tampering; the banning of non-approved parts and Maintenance and repair information. We would like to thank Wim van de Camp for his response to our questions and to the claims made, considering the fact that we have not been exactly supportive of Mr van de Camp’s reports on the draft proposal within the IMCO committee. In fact we still do not agree with some of his views, but in any dialogue, it is expected that there will be differing opinions. Answer One (Mr van de Camp): Regarding the non-approved parts: type-approval only concerns the parts which are related to safety and environment. 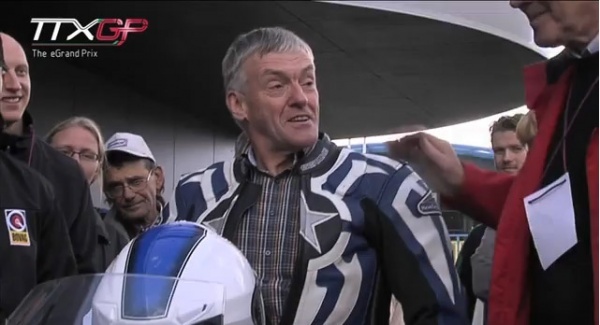 So e.g., the pillion seats or the suspension systems don’t need this kind of approval. In the Regulation the powertrain (article 18:1) is described as follows: ‘Powertrain’ means the components and systems of a vehicle that generate power and deliver it to the road surface, including the engine(s), the engine management systems or any other control module, the pollution control devices, the transmission and its control, either a drive shaft or belt drive or chain drive, the differentials, the final drive, and the driven wheel tyre (radius). So the chassis does not belong to the powertrain! In the meantime you know that any inadequate adaptation in the chassis of a motorbike may be very dangerous. Claim Two: “A ban on overriding safety features, such as permanent headlights and ABS. I prefer freedom of choice”. Answer Two (Mr van de Camp): – We don’t agree with you on the AHO (Automatic Headlights On) and ABS (Advanced Braking Systems) (for the L3e-A2/L3e-A3 category) items. These measures are broadly accepted in European Bikers Atmosphere and seen as responsible safety measures. See a further response from Right To Ride about ABS and AHO to Mr van de Camp below. Claim Three: “Requirements for most bike shops to look out for and report non-approved parts on customers’ bikes”. Answer Three (Mr van de Camp): refers back to his comments in Claim One. Claim Four: “A restriction on who is allowed to get hold of servicing and error code information. That alone could, over time, wipe out every independent dealer in the UK”. Claim Five: “A requirement to get permission from the government to ride a modified bike”. Answer Five: You know the state of play on this item: I quote Mrs Hardy (Right To Ride) “Malcolm in the middle” report: “Reportedly, some Member States would readily to away with the whole provision in the draft regulation and are inclined to leave SVA procedures to be determined at national level, while others would prefer harmonisation of the system at EU level in this regulation” (NB: Although the Chair of the IMCO Committee is seeking to get mutual recognition as a compromise). Meanwhile back in the U.K., some motorcycle magazines are still writing plain nonsense about the proposed regulation in their editorials. We had to put back the latest issue of 100% Biker magazine on the shelf in despair. The parallel custom bike magazine BSH (Back Street Heroes –July 2012 – Issue 339) fares no better, because its editorial comes across as being informative and knowledgeable. It talks about the blanket of Type Approval Regulation to seriously restrict the ability of owners to modify their machines. The introduction of compulsory ABS braking systems and the wearing of high-visibility fluorescent jackets by riders at all times. 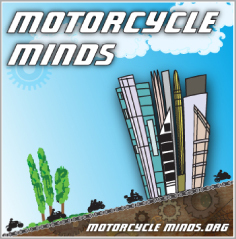 There is the usual rhetoric playing to the gallery, of significant infringements of human rights and independent motorcycle shops across Europe where employees will have their job security jeopardised. Referencing back to a previous editorial there is mention of the proposals which seeks to ban the fitting of extended forks. We could suggest that the editor “keeps up at the back” as this “Chopper Scare” was a non-issue, because it was never proposed. Rider organisations released statements to the effect that this “ban on the fitting of extended forks” was not going to happen despite initial misleading claims. The editorial comments that Brussels is filled with a bunch of imbeciles, who are clearly fully paid-up Class A morons and there are tardy MEPs who have yet to take on the seriousness of “our” concerns, who are elected to sit behind closed doors on some dictatorial panel charged with imposing random pieces of ill-considered legislation on a hapless populace. Of course we are all entitled to our opinions and to publish them (within the realms of what is legally acceptable of course). But as an Editor of a respected Custom Bike magazine, drawing perhaps on its radical faded past, we would have thought at least that he could have done a bit of investigative type journalism. Selling Snake Oil to the natives used to be the domain of a certain weekly motorcycle newspaper, so it is pretty depressing to find this method of journalism amongst our own. But in the absence of information – maybe this editor’s comments aren’t so strange, after all, the organisation which over 180,000 riders throughout Europe finance to represent them in Brussels – is silent! 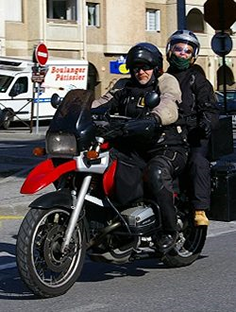 The Federation of European Motorcyclists Associations (FEMA) seems to have gone on maternity leave. Not one comment on their website about recent events relating to the EU proposal! Nothing to give riders some understanding of the issues! Over the weekend the National Organisations that are the representatives of European riders at FEMA met in Paris. We know that, because there are quite a few photographs of them on Facebook talking around a table. We are now asking – what is the consensus amongst the FEMA members regarding the regulation for the Approval and Market Surveillance of Two – or Three-Wheel Vehicles and Quadricycles? We further responded to Mr van de Camp, specifically on his comment about ABS and AHO. We wrote “Please be assured that the comments made within the document “Malcolm in the Middle”, were not without a justified reason. These reasons were formulated through findings indicated in Dr Elaine Hardy’s Northern Ireland Motorcycle Fatality Report 2012. Of the 41 fatalities examined, there were only 2 cases where ABS may have made a difference, this is because at this point in time, ABS only functions on straight sections of the road. This does not mean that we are “against” ABS, simply that – as Dr Hardy explained to the European Commission’s representative from DG Enterprise and Industry, when they met to discuss these issues – there are too many variables and as a consequence, it is highly unlikely that there will be a 20% reduction over ten years. With regards to AHO, in discussions with the collision team investigators and police it is apparent that car and van drivers in particular, have problems recognising Vulnerable Road Users (VRU). What we now seem to understand is that these drivers are not expecting other vehicles etc except cars or vans. In other words it is a perception issue. This was also discussed in a focus group and what was apparent is that in the actual training and testing of car/van drivers, it is rare that a VRU would “pop out” in front of them, so again, they are not expecting to see VRUs even if they have lights on or not and from Dr Hardy’s study, lights didn’t make any difference to their reaction”.